Ines Mergel was one of our keynote-speaker at the CeDEM17 at the Danube University Krems in May 2017. We summarized and reflected her keynote. In order to reach digital transformation, the perspective needs to be changed from looking at one project to focusing the to-be-achieved solution. What do we need inside government to make digital transformation happen? Ines Mergel, full professor of public administration at the University of Konstanz), decided to talk about digital transformation in the public sector and explained, you can see huge gaps between how fast technology is developing and the government being far behind this development. This can of course not be stated in a general way, though there are much more advanced countries in Europe, f.i. Denmark and Estonia. Her research in the context of Northern America showed, it might be unclear how digitization fits to internal processes. Pressure to digitize processes can even lead to the convertion of false analogue forms to digital ones. Additionally, from a citizens’ perspective, if from the beginning you don’t know how the process connected to the request you file is structured, it may reduce trust in institutions. Within this project, the question was how the government unit can achieve digital transformation. The overall research goal is to create an international comparative study on government start-up organizations including – besides the US-case – especially cases from UK, Australia and Italy. The Project in the US-context revealed f.i. most of the budget was used on the maintenance of legacy IT. In contrast to this, just a small part of the budget was used for development. In the US-case, there are centralized teams directly supporting national priorities as well as decentralized teams involved in innovation in IT acquisition, as well as agency-level teams. One of the major findings is that for the achievement of digital transformation, a project-level approach does not suffice. The organizations concerned should think about what should be the result, what citizens really need – in contrast to thinking just about the next step. It is not an IT-project. In order to change for digital transformation, efforts have to be made to be willing to rethink and then change processes of government. Under a flexible HR policy, people can be involved for some months or some years, which is advantageous for the maintenance of a start-up mentality. Cultural hurdles of the public sector like “We have never done like this” show governments being rather risk averse. To allow to take more risk, an agile leadership could allow more experimenting. Finally, the “Innovation paradox in the public sector” was introduced, mentioning that according to the collected empirical data, from the perspective of the private sector, innovation cannot happen in the public sector itself, but needs the private sector to happen. Professor Dr. Ines Mergel is full Professor of Public Administration in the Department of Politics and Public Administration at the University of Konstanz, Germany. Previously, she served as Associate Professor with tenure at the Department of Public Administration and International Affairs at Syracuse University’s Maxwell School of Citizenship and Public Affairs, Syracuse, NY, USA. Before joining the faculty at the Maxwell School, Professor Mergel taught at Harvard’s Extension School in the Management Master Program and stayed as a doctoral student and postdoctoral fellow at Harvard’s Kennedy School of Government. Professor Mergel’s research focuses on public management topics, specifically the managerial and technological processes in the implementation and institutionalization of innovative public management practices. Current projects include digital transformation, open innovation, big data, and the use of inhouse social networking technologies in the public sector. 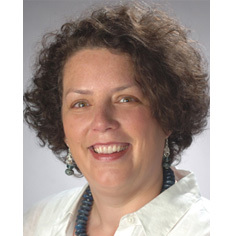 Professor Mergel is Associate Editor of the journal Government Information Quarterly, serves on the editorial boards of Public Administration Review, Information Polity, Public Performance & Management Review, and the board of directors of the Public Management Research Association. In 2016, Professor Mergel was appointed as a Senior Fellow at the German Research Institute for Public Administration.